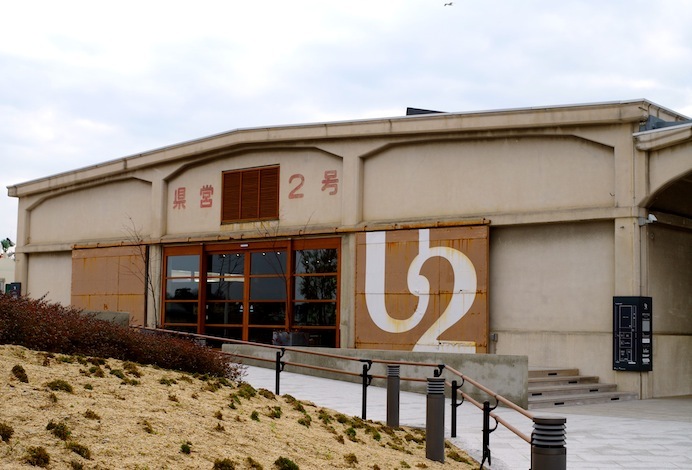 The interior of Cycle Hotel U2 boasts a cafe, bakery, restaurant, bar, and Giant Cycle outlet all under one roof. Awake to the sight of your two-wheeled steed in Cycle Hotel. 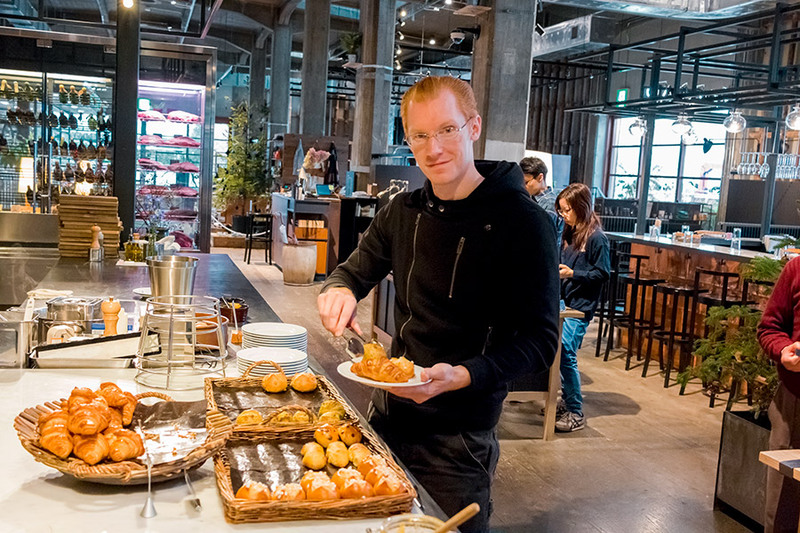 The pastry selection and salad and juice bar make an excellent start to a day of cycling. 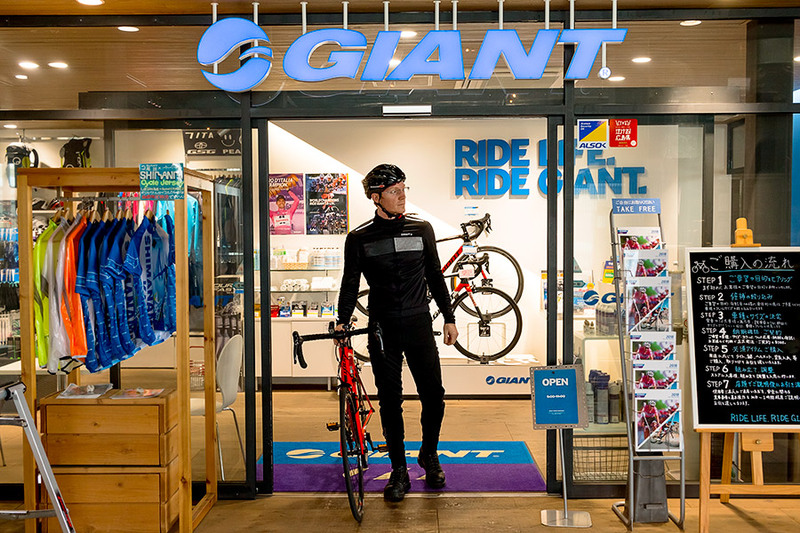 You can rent everything you need for a legit cycling trip at the Giant store on-site. 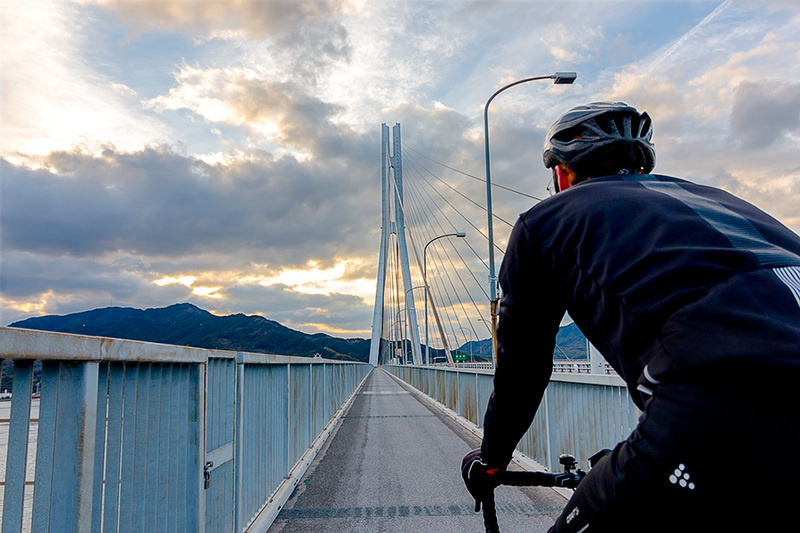 Cycling the bridges of the Shimanami Kaido delivers a breathtaking experience. Even after your trip draws to a close, the views you see will stay with you. 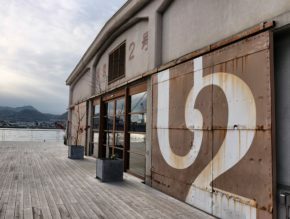 Occupying a repurposed warehouse on the waterfront, Cycle Hotel U2 brings a chic experience perfect for every cyclist. 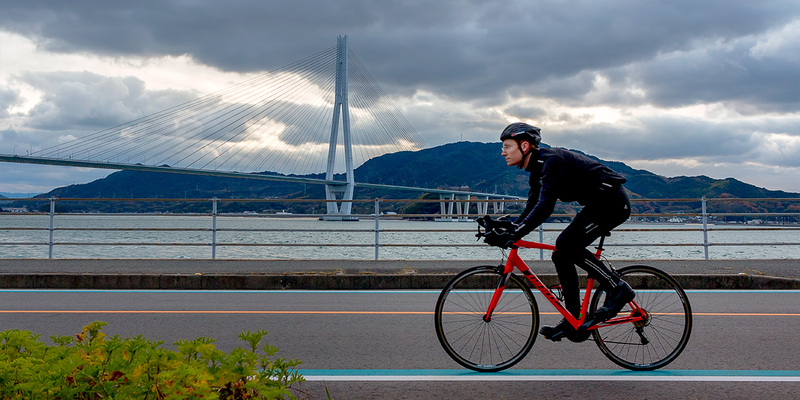 Ever since I first heard about the Shimanami Kaido – an epic cycling course in Japan – I knew I wanted to do it. After all, it sounds like cycling paradise. 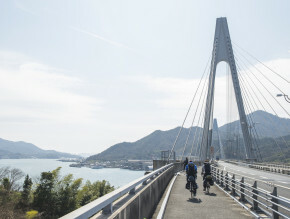 There, against the backdrop of the sparkling Seto Inland Sea, lies a 70 kilometer bicycle path connecting Japan’s main island of Honshu to the island of Shikoku. 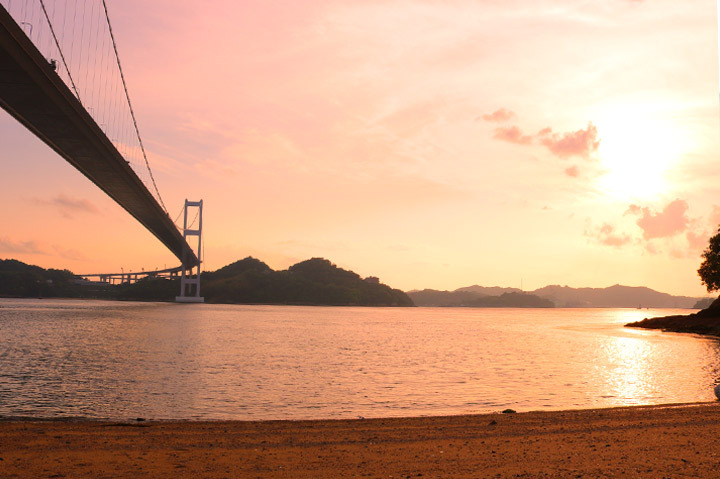 The route crosses six small islands as well as seven bridges, including Kurushima Bridge which, at a stunning 4,045 meters, holds the record for world’s longest suspension bridge. Of course, one needn’t tackle the whole shebang if 70 kilometers by bike sounds a bit extreme. 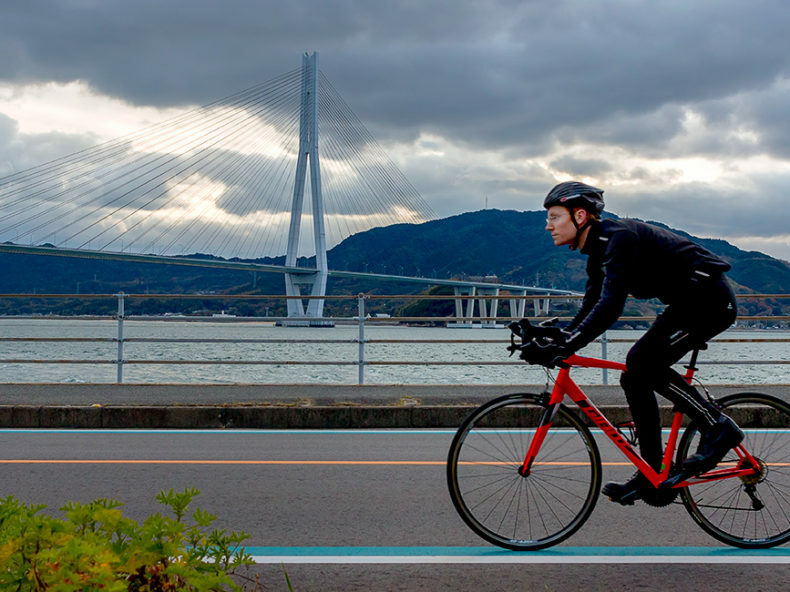 In fact there exists numerous cycle rental spots all along the route which, coupled with extensive bus and ferry access, allows visitors to drop in for as much or as little of the Shimanami Kaido as they like at any point along its length. 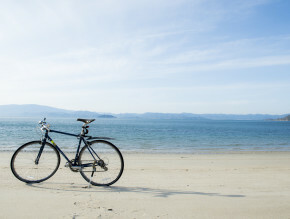 However, though the cycle rental terminals offer a wide range of bikes, from commuter types to electric-assisted “cheater” bikes, they as yet don’t offer road bikes or anything particularly ideal for a 70 kilometer cycling adventure. And for that reason, the Shimanami Kaido always seemed logistically a bit out of reach. I mean sure, I could spend a few hundred bucks on a hardshell flight case to put my bike in, or worse roll the dice on a cardboard transport box… But even with those options, you’ve gotta admit – traveling in a country renowned for its tight spaces while lugging around a huge bicycle container isn’t exactly the most exciting of prospects. 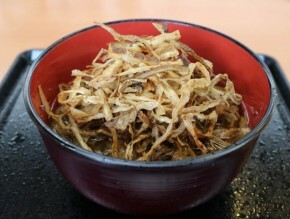 But then I heard about a place called Hotel Cycle in Onomichi, the town at the northern end of the Shimanami Kaido, and all those problems melted away. 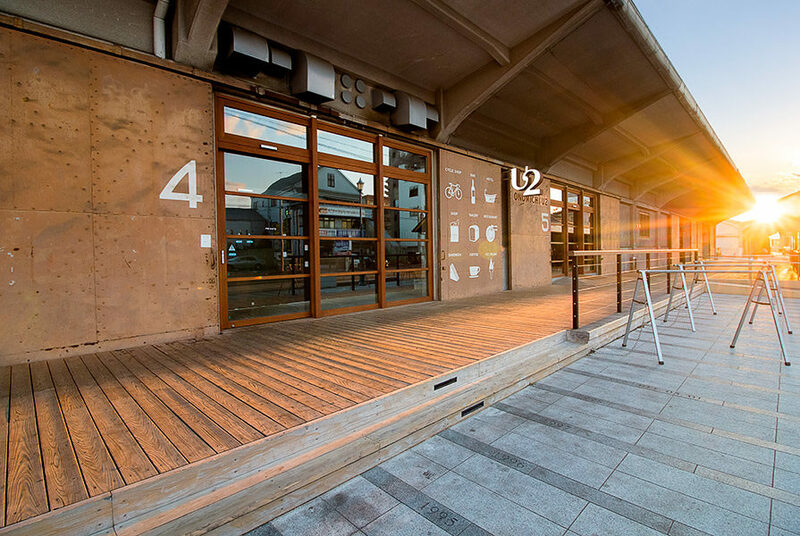 Occupying a renovated warehouse, Hotel Cycle offers perfect accommodation for travelers and cycle enthusiasts alike. 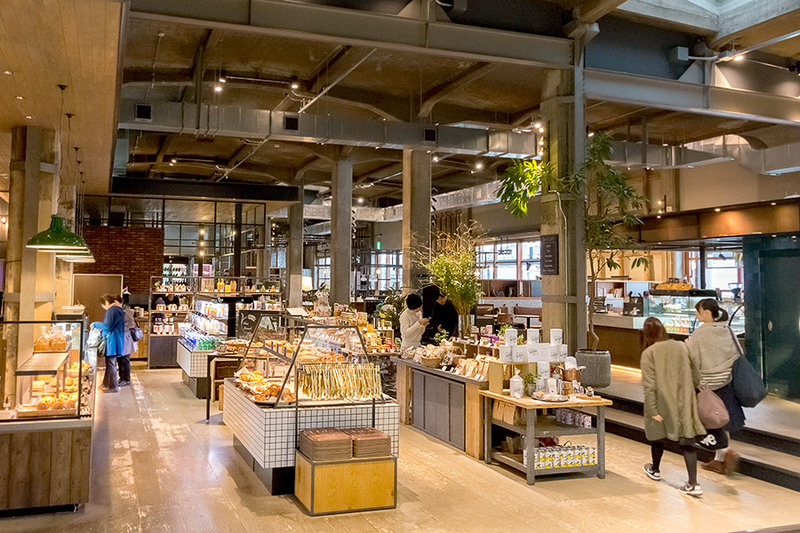 With a cafe, a bakery, a restaurant, a bar, and a selection of local souvenirs all housed within their chic interior, honestly there’s almost no reason to leave the hotel at all. No reason except one – the starting line of the Shimanami Kaido lying practically right outside the hotel’s doors. To make sure you don’t forget why you came there in the first place, Hotel Cycle also hosts a Giant outlet offering high-end bikes both for sale and rent. And that’s the kicker right there – you don’t need to lug your bike, or even your bike gear, with you overseas. You can rent a high-end road bike and appropriate attire from Giant directly in the hotel. 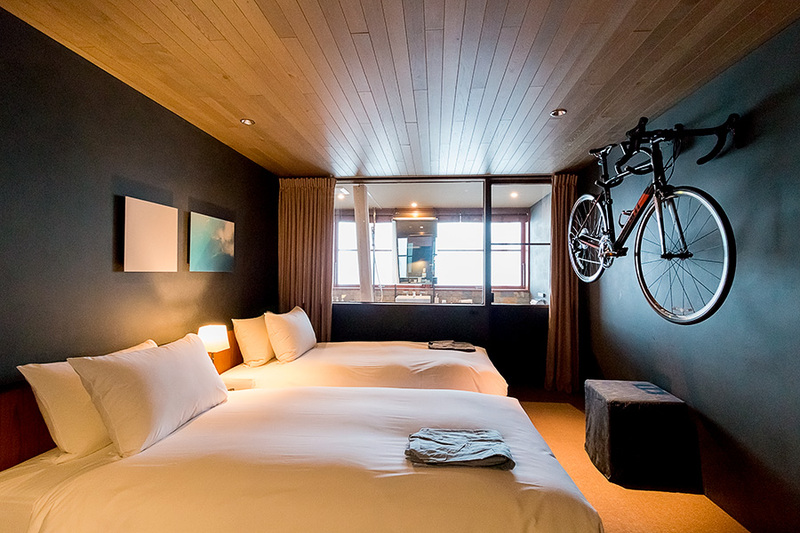 The rooms even feature wall-mounted bike racks. And it must be said – there really is something galvanizing about waking up on the morning of your cycling trip to the sight of your two-wheeled stallion champing at the bit on the wall opposite your bed. It just puts you in the mindset immediately. 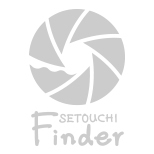 I arrived at Hotel Cycle with enough time to explore Onomichi a little before returning to the hotel for a relaxing evening prior to my big adventure the next day. After a dinner of seasonal mushroom pasta at the hotel restaurant, I took a spin on a pedal equipped barstool with a complimentary beverage, the ticket for which came with my room. 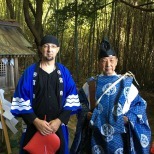 Then, tucking myself in for the night, I slept in perfect comfort, and arose ready for action the next morning. After selecting a cycling jacket and pants, the pros at Giant adjusted my seat of my 9 kilogram steed, and I set out. Even under clouded skies, the sights presented by the Shimanami Kaido were breathtaking. Everywhere I looked I saw picturesque islands, beautiful bridges, and serene ocean waves which sparkled handsomely whenever the sun’s rays lighted upon them. 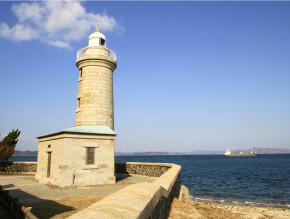 Featured in Japan’s oldest writings from the Kojiki to the Tale of Genji, sailed upon in ancient times by envoys from Korea and China, and utilized even into the 20th century as a superhighway for the transport of goods, cycling over the Seto Inland Sea feels both humbling and awe-inspiring. The bicycle path at times joins the island roadways, yet more often than not digresses from them, pursuing scenic detours not accessible by car. Some optional side-paths can even extend the course well beyond the 70 kilometers of the main route. For those of us diehards out there, the full course is doable in a day, however most folks will probably want to make it a two day operation by staying at a hotel, guest house, or campground along the way. Even if you’re the Speedy Gonzales type (guilty as charged), taking the time to explore the many shrines, temples, and spectacular lookout points along the way can easily extend your trip beyond a single day. 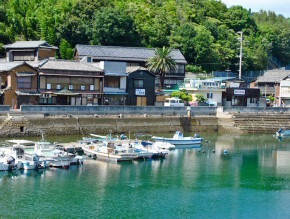 As the stunningly gorgeous scenery scrolled by, I realized that even in achieving my long-held ambition of cycling the Shimanami Kaido, I’d need to visit again if I wanted to get the most out of the experience – like the many waka poems written about the Seto Inland Sea, there’s simply too much to take in on the first pass. 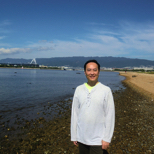 "Omohide Cycling" : A Recommended Tour For Guests Wanting To Enjoy Shimanami Kaido by Bicycle! See more articles about "Cycling"